Necktie designer Puccini took four different silver and gray yarns and woven them into this festive micro-check patterned fabric. 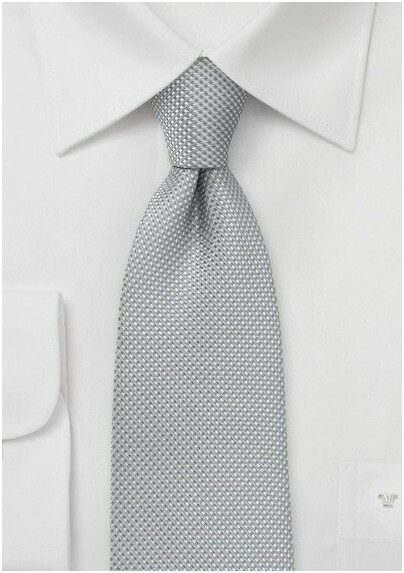 The checks are so fine that the tie appears solid and patternless at first but a closer look divulges this unique micro diamond check. This tie can be worn for formal as well as casual events. For everyday office wear we suggest pairing this tie with plain white shirt, medium-gray pinstriped suit, elegant silver cufflinks, and classic black oxford dress shoes. Made from stain resistant microfiber. 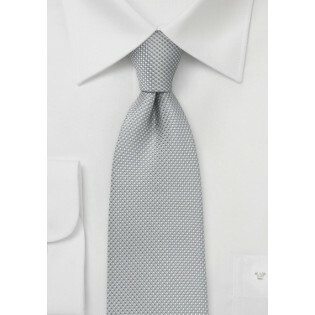 Mens Tie Length: 58", Width: 3.25"